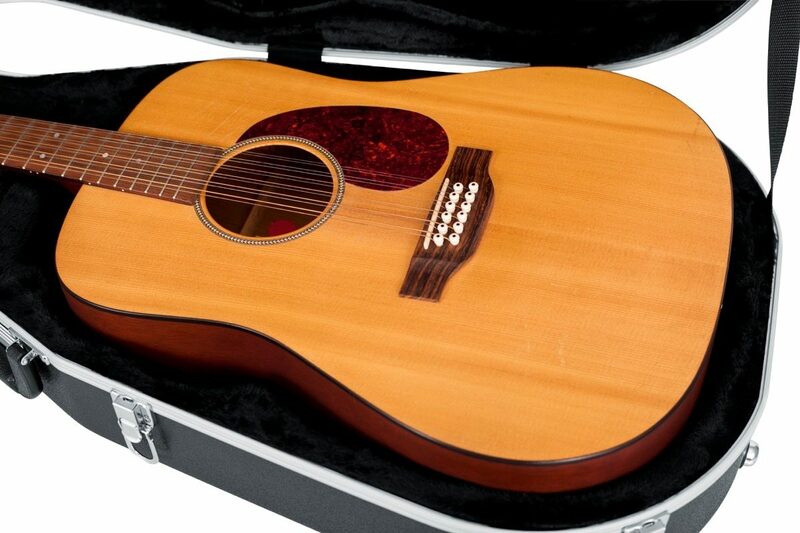 For songwriters, troubadours, and players alike, the acoustic guitar is a beautiful thing. Once you've found the one that's right for you, you know it - when the feel and the tone are right, playing feels more natural than ever before. 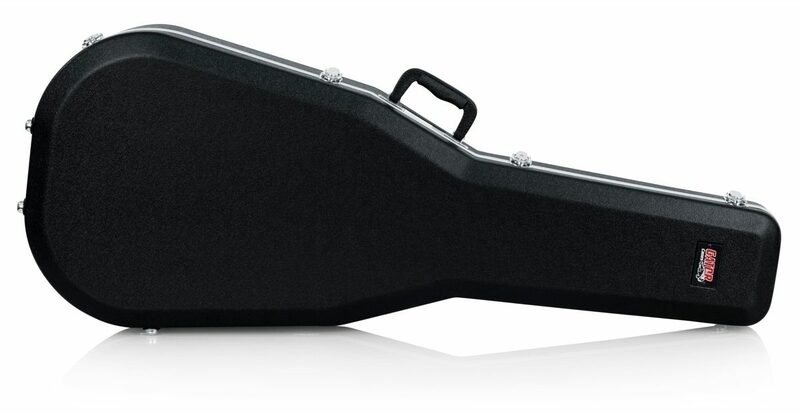 However, you've got to take care of your investment - hollow bodies and thin construction mean acoustic guitars are a good deal more fragile than their electric brethren. 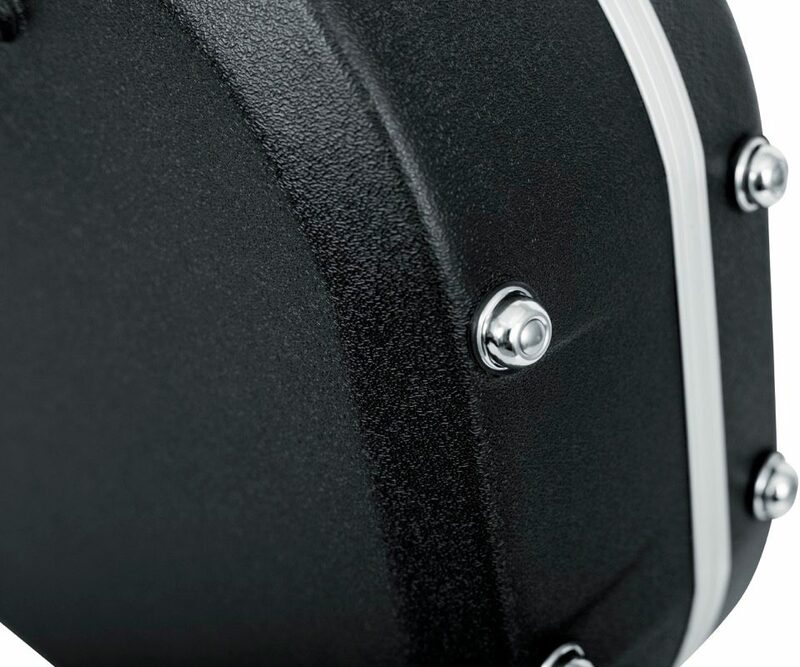 The Gator GC-Dread 12 offers durable, sleek insurance against tragedy. Its ABS construction offers great protection in the back of your van, car, bus or other touring conveyance. 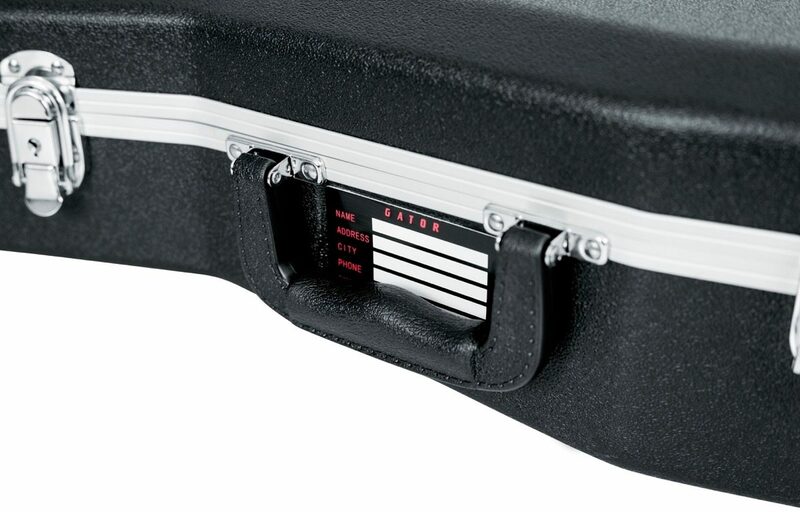 Gator's patent-pending through-bolted handle system also offers unparalleled protection for the price, binding the interior and exterior of the case where the handle meets for added reinforcement. 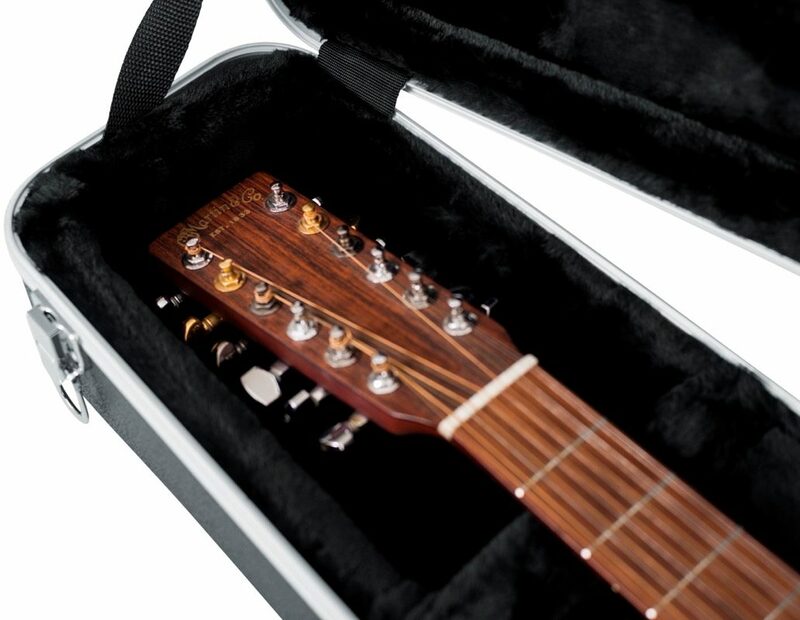 The GC-Dread also features a deep plush interior so your guitar rides with the utmost of comfort. 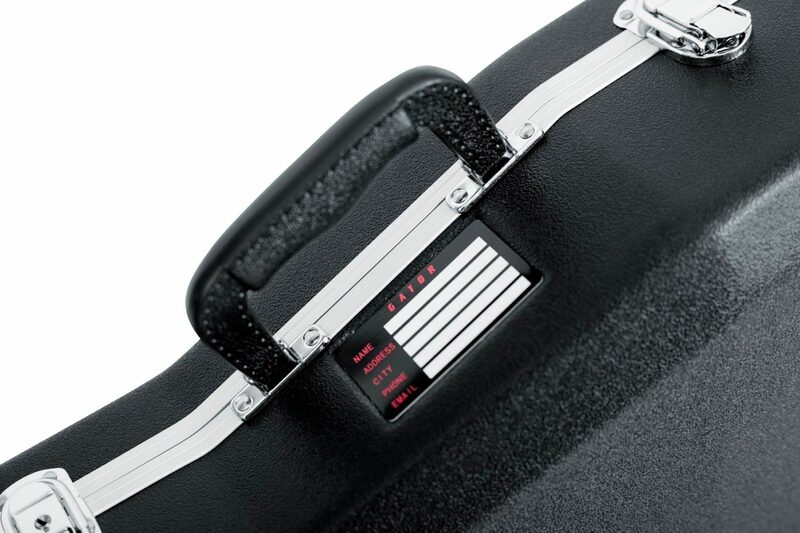 Finally, the case is lockable, and features an accessory pocket, for your capo, extra strings, tuner, picks, and whatever else you need to make your music. Body Lower Bout Width: 16 in. Body Middle Bout Width: 21.25 in. Body Upper Bout Width: 13 in. Body Total Length: 21.5 in. Bottom Body Height: 5 in. Top Body Height: 4.5 in. Head-Stock Start Height: 3.5 in. Head-Stock End Height: 3 in. Exterior: 45.5 in. x 19 in. x 6 in. Accessory Space: 6.5 in. x 5.5 in. x 2 in. 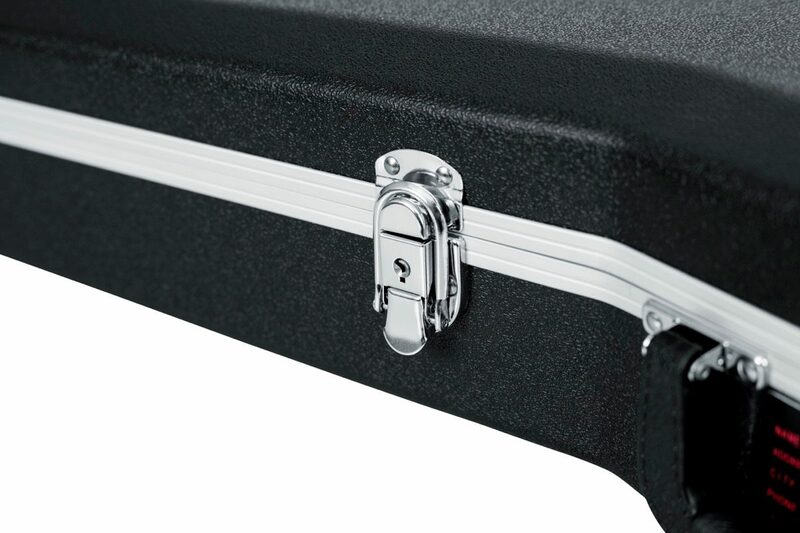 The Gator GC-Dread-12 Deluxe Case is designed to fit dreadnought 6/12 string guitars. The Deluxe ABS exterior and heavy-duty aluminum valance provide excellent durability. Overall: As usual my experience was perfect. Every time I use zZounds I get my order in two days, that's to St. Lawrence County northern NY. Nothing is ever damaged and NO one has payment plans like zZounds! I'm Country but you guys ROCK!!!!!! 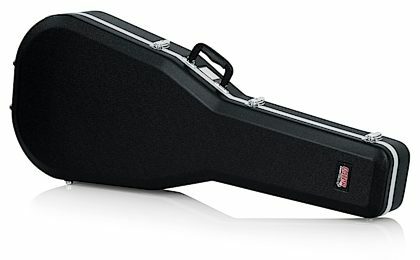 Overall: My Taylor 12 String needed a hard case that would be suitable for travel. 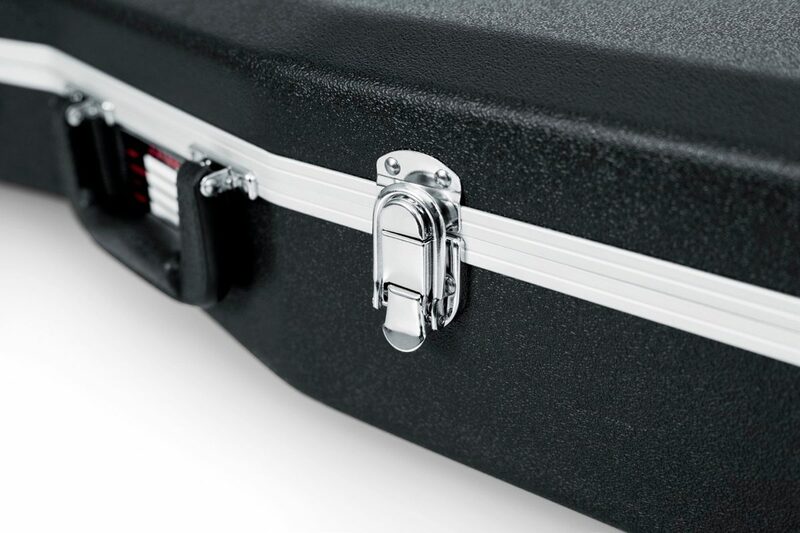 This Gator case fit the bill, snug with some storage. I track temp and humidity in the case with a hygrometer and I can tell you, this case gets it done. And by the way, they shipped it when they said they would....not a bad experience, at all.